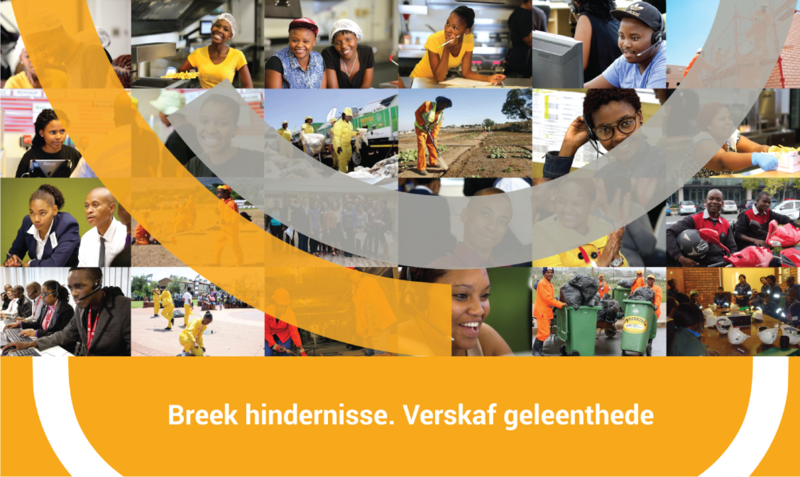 Vulindlel’ eJozi is a youth skills empowerment initiative by the City of Johannesburg in partnership with Harambee Youth Employment Accelerator. It is designed to break down barriers to opportunities by creating pathways for young people to access skills training programs and entry level employment. There are almost one-million young people in Johannesburg who are not in employment, education or training. Vulindlel’ eJozi’s target is to reach 200 000 of these young people to meaningfully include and engage them in our economy over the next year. We aim to do this by breaking down barriers to opportunities in order to allow them to access better employment prospects and job placements. Vulindlel’ eJozi will identify candidates through various means – including through Harambee Youth Employment Accelerator (www.harambee.mobi) where some young people are already registered for assistance in accessing various opportunities. Candidates will then be invited to assessments at one of the Vulindlel’ eJozi Opportunity Centres around Johannesburg. Here they will receive a full battery of assessments and work seeker support. This is aimed at teaching them skills that will prepare them for entry into the workforce. They will then receive feedback on the options available to them and be able to access opportunities that will be best-suited for them. Opportunities exist for driven young people in the form of job placements, entrepreneurship or further development and improvement of their skills. Vulindlel’ eJozi also offers many opportunities to potential partners to link in and participate in the programme.